Those who have been following my website and blog may have noticed the domain change to travelyourgenealogy.com, which better reflects the mission statement of my business and this website. Since 2008, genealogy has led me on an amazing adventure and connected me with people from all walks of life. Some of us have had the opportunity to visit and tour the landmarks that have touched our family history, but even the records bring us back in time and serve as a unique voice for historical truth. When you visit my website and blog, you will not only be able to learn about my genealogy journey, but start or continue your own. My blog posts are designed to give readers research tips and my “Research Toolbox” page holds a lot of guides, useful links, and templates. My professional services are here to help you with journey of self-discovery. My great-grandmother Adelaide Oliver O’Neill and two unidentified women at St. Patrick’s Burial Place in Downpatrick, County Down, Ireland. Image Source: Author’s Collection. May has been a great month! I couldn’t be happier with the career path I have chosen. I’ve even had time to make some breakthroughs on my father’s family, the Fleischhauers, and some new source discoveries. I had a fun time attending my first Geneablogger Bash, basically a relaxing cookout where I got to me other amazing genealogy bloggers. 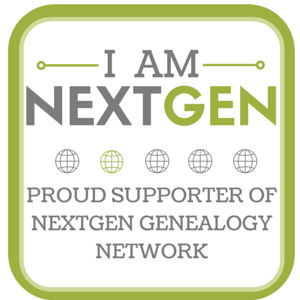 ProGen 30 begins in June and am looking forward to taking the next step in my genealogy journey. I think this will be an exciting and fulfilling summer. I am also on Twitter (@travelgenealogy) so follow me there too as I tweet a lot of genealogy links and breaking news. Finding out that your ancestor was drafted during the Civil War connects your family to an important moment in American history. In 1863, the United State Government mandated the first act ever in it’s to history that would require compulsory service in the military. The draft act of 1863 was very controversial and resulted in many riots around the country, including the infamous riot that occurred in New York City. Report Addressed to Captain J. S. Godfrey by Deputy Provost Marshal on the Response to Jackson, New Hampshire Anti-Draft Riot. Record Group 110: Records of the Provost Marshal General’s Bureau (Civil War), 1861-1907. NAID 6925418. Image Source: National Archives and Records Administration. Civil War draft registration records for the Union Army are collected in NARA Record Group 110, Records of the Provost Marshal General’s Bureau (Civil War). While Ancestry.com does have a collection of indexed draft registrations, these are merely the consolidated lists and encompass only part of the records. NARA still has not digitized what are known as the draft medical examinations, where each draftee received a physical examination. These lists will include some interesting medical history and will indicate if any physical deformities or ailments made them unfit for service. All draft registries are organized by the State and thereunder Congressional District. If you’d like to request a look up of these records, e-mail the appropriate branch of the National Archives and indicate the town or city in which they were drafted. “Researching the Seafaring Career of James W. Freeman [updated]” posted 30 May 2016. “Record Spotlight – Massachusetts Department of Health, Institutional Registers, 1854-1918 on FamilySearch.org” posted 28 May 2016. ““Seemingly, it would appear I have preferred my daughter”: The Wills of Friedrich and Hermine Fleischhauer” posted 19 May 2016. “Many Twists and Turns: The Life of Mildred Fleischhauer” posted 10 May 2016. “Casting Application – 2016,” Genealogy Roadshow. Kenyatta D. Berry. “What Does It Mean to Embrace Your History?,” PBS Black Culture Connection Talk Back, posted 27 May 2016. Shared by D. Joshua Taylor. Melvin J. Collier. “Demonstrating the Effectiveness of Cluster Genealogy,” Roots Revealed, posted 17 May 2016. Shared by Texas State Genealogical Society. Amy Johnson Crow. “Creating Family History Videos Easily and for Free,” Amy Johnson Crow, posted 24 May 2016. Genealogy Jen. “10 Tips to Involve Younger Generations in Genealogy,” Repurposed Genealogy, posted 23 May 2015. Guest Blogger. “5 Simple Habits to Keep Your Photos Organized,” FamilySearch Blog, posted 19 May 2016. Shared by Amy Johnson Crow. Bryna O’Sullivan. “What exactly does a genealogy translator do?,” Crossing the Border, posted 21 Apr 2016. Shared by Charter Oak Genealogy. Heather Wilkinson Rojo. “June 2016 Genealogy and Local History Events,” Nutfield Genealogy, posted 26 May 2016. Shared by Nutfield Genealogy. Copyright (c) 2016 Jake Fletcher.